• 17" length; 2 1/2" extender; 1" x 3/4" pendant. Ideal accessory to add that touch of glamour to an outfit! Ideal for Rockers and Goths. 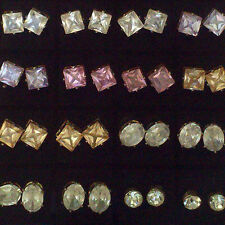 Lovely mix and match collection of studs/earrings for sale. All in good but used condition, some of the backs of the earrings are missing but most are there. 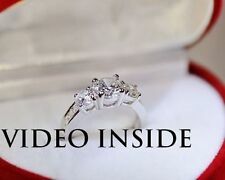 I have other items of jewellery for sale so please check out my other items. If you have any questions please message. Thank you. Ideal accessory to add that retro vibe to an outfit! 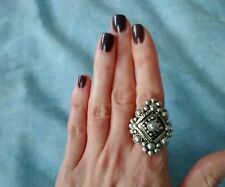 Ideal accessory to add that retro vibe to an outfit/for rock chicks! 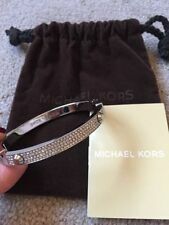 Topshop Womens Freedom Jewelrey Black Velvet Choker Diamond. Condition is Used. Dispatched with Royal Mail 2nd Class Letter. Topshop Diamond Choker Necklace. Dispatched with Royal Mail 2nd Class Large Letter. Topshop Silver Bangle, With Amethyst Purple Drop Diamond. Condition is New with tags. It can be for someone whose birthday is in February, or just as a gift for someone, or yourself. 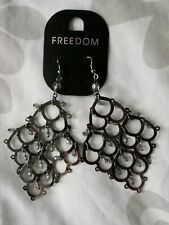 Topshop Freedom Jewellery Black diamonds shine. Condition is New with tags. Dispatched with Royal Mail 1st Class (1 to 2 working days). Item is in good condition. However, it still looks decent. Doesn't appear old or overused. Pls zoom in, see pics up close! However, it still looks decent. This item's in good condition. MASSIVE DEALS Item is in excellent condition. Long silver cross necklace on black cord. 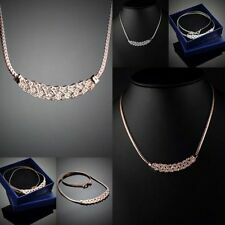 Silver Jewellery Set. Statement Costume Pearl and Diamond Necklace Topshop Festival Holiday Choker. Condition is Used. Dispatched with Royal Mail 1st Class Large Letter.